REMOVE FROM FORD FOCUS MK3 1.6 TDCI 5 DOORS,2014 YEARS,115 BHP,6 SPEED MANUAL GEARBOX,ENGINE CODE AV6Q,PAINT IS SILVER. MY AIM IS TO MAKE SURE YOU ARE ALWAYS 100% HAPPY! MAZDA B2500 2.5TD - (1999 - 2006). Here's a newClutch Master Cylinder & Slave Cylinder (3/4") for the following models fromFord -. I can do much more on the phone. JUST BELOW THE ITEM PRICE. UK made clutch master cylinder repair kit to fit all models of the Ford Zephyr & Zodiac MKIII. This kit is. 7" bore size. 1539937, ABE|F9G007ABE, BREMBO|C24010, BSG|BSG30425011, CAR|7407, DJPARTS|CM1099P, FEBIBILSTEIN|34994, FORD|1330266, FORD|1476806, FORD|1539937, FORD|3M517A543AD, FORD|3M517A543AE, FORD|3M517A543AF, FORD|3M517A543AG, FORDUSA|3M517A543AD, FORDUSA|3M517A543AE, FORDUSA|3M517A543AF, FORDUSA|3M517A543AG, FTE|KG19008949, KAWE|M2185, LPR|2185, MALÒ|88126, MAZDA|BP4K41400B, MAZDA|BP4K41400C, MAZDA|BP4K41400D, MAZDA|BP4K41400E, NK|833221, SACHS|6284600627, SWAG|50934994, VOLVO|30681422, VOLVO|8675600. WARRANTY FOR THREE YEARS / 36000 MILES. 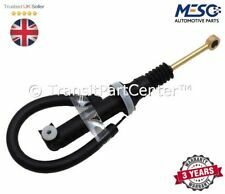 Genuine LUK 511001010 Clutch Master Cylinder Ford Fiesta KA Courier Mazda 121 . 2003 Ford Focus clutch master cylinder. MAZDA B2500 / FORD RANGER 2.5TD 1998-2007. Includes:1x Clutch Master Cylinder 1x Clutch Slave Cylinder. WILL FIT THE FOLLOWING. Clutch Master Cylinder. This part was removed from a Right Hand Drive Vehicle. Compatibility is a guide only. Your item will need to be signed for. TRIM LEVEL. Other Details. POMPA FRIZIONE CHE SI TROVA AL PEDALE. TIPO MOTORE. PART NUMBER National NSC 0043. Manual Transmission. 04.06 - 08.14. 11.06 - 08.14. Clutch Master Cylinder. Your item will need to be signed for. Compatibility is a guide only. Other Details. TRIM LEVEL. Part Number. FORD RANGER 2.5TD 12 VALVE PICK UP 1999-10/2007. Clutch Master Cylinder - New (1999-10/2007) 12 valve vehicle only! This kit is for the. 7" bore Girling CV type cylinder. Un nuevo embrague cilindro Ford tránsito Mk6 2000 > 2006. FORD Plataforma TRÁNSITO / Chasis (FM_ _, FN_ _) 2.4 TDCi. FORD Plataforma TRÁNSITO / Chasis (FM_ _, FN_ _) 2.3 16V (F_A_, F_B_, F_C_, F_D_). FORD Plataforma TRÁNSITO / Chasis (FM_ _, FN_ _) 2.0 DI (F_E_, F_F_). Front brake caliper repair kit to fit all models of the Ford Zephyr & Zodiac MKIII. FORD FOCUS CLUTCH MASTER CYLINDER. YOU ARE BUYING 1 X FORD FOCUS CLUTCH MASTER CYLINDER. FITS FORD FOCUS MK1 ALL MODELS 1998 - 2005. FORD ZEPHYR & ZODIAC MkII (56-62). NEW CLUTCH MASTER CYLINDER - 3/4" bore. You with need to fit your own push rod to this Cylinder. FORD CONSUL MkII (56-62). Fiesta Zetec (MK7 (B299) ABS). 1242cc 80/60 16v. Clutch Master Cylinder. Vehicle Photographs & Guide. The table below contains further information. Item Information & Vehicle Details. Transmission Information. WARRANTY FOR THREE YEARS / 36000 MILES. NO GOOD FOR UK, IRELAND, AUSTRALIA. LEFT HAND DRIVE VEHICLES ONLY. 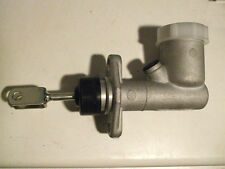 Here's a newClutch Master Cylinder (0.7") for the following models fromFord -. I can do much more on the phone. (1966- 70). ( Not for the Ford Corsair ). Rod can be removed and swapped if required. Here's a newClutch Master Cylinder. I can do much more on the phone. (1200cc, 1500cc & GT). Rod can be removed and swapped if required. JUST BELOW THE ITEM PRICE. (5/8th bore) for the following models fromFord-. Original Ford Geberzylinder. Verwendung: Geberzylinder. Baugruppe: Kupplung. Höchste Sicherheit durch Originalteile. TEXTAR - 50014100 / 50014100. FORD - 1 351 651 / 1351651. FORD - 1121925 / 1121925. Ford Focus 1,8 16V Benzinmotor Baujahr 5/1998 - 5/2005 (MK1 - mit B5/IB5 - Getriebe). Ford Focus 2,0 16V Benzinmotor Baujahr 5/1998 - 8/2002 (MK1 - mit B5/IB5 - Getriebe). Marke: Hajus. 1 x Kupplungsgeberzylinder. Ford Focus Kombi (DNW) 1.4 16V 1388 55 75 1999/02-2004/11 8566-363. Ford Focus Kombi (DNW) 1.6 16V 1596 74 100 1999/02-2004/11 8566-364. Ford Focus Kombi (DNW) 1.8 16V 1796 85 115 1999/02-2004/11 8566-365. PART NUMBER MOTAQUIP VCC 11. FORD FIESTA Mk IV (JA_, JB_) 1.25 i 16V. FORD FIESTA Mk IV (JA_, JB_) 1.3. FORD FIESTA Mk IV (JA_, JB_) 1.3 i. FORD FIESTA Mk IV (JA_, JB_) 1.4 i 16V. FORD FIESTA Mk IV (JA_, JB_) 1.6 16V Sport. FORD FOCUS III 1.6 Ti Hatchback Petrol 07/2010 on FWD 16 105 77. FORD FOCUS III 1.6 Ti Hatchback Petrol 07/2010 on FWD 16 125 92. FORD FOCUS III 1.6 Ti Hatchback Petrol 08/2011 on FWD 16 85 63. FORD FOCUS III 1.6 Ti Hatchback Petrol 02/2012 on FWD 16 120 88. Fits to : Ford Ranger 2.5D/2.5TD, Mazda B2500 2.5TD Pick Up. Year (1998 - 2006). 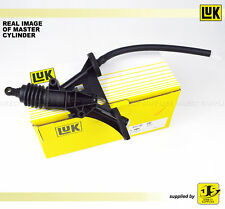 1 x CLUTCH MASTER CYLINDER GENUINE LUK MADE IN GERMANY FITS FORD FIESTA 2001 - 2008 1.2 - 1.3 - 1.4 - 1.4TDCI - 1.6TDC FORD FUSION 2004 - 2011 1.4 - 1.4TDCI - 1.6i - 1.6TDC. 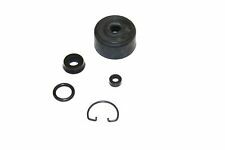 Brake master cylinder repair kit to fit all models of the Ford Zephyr & Zodiac MKIII. FORD MONDEO IV (BA7) 1.6 Ti. FORD MONDEO IV Saloon (BA7) 1.6 Ti. FORD MONDEO IV Turnier (BA7) 1.6 Ti. VOLVO C30 (533) 1.6. FORD C-MAX (DM2) 1.6. FORD FOCUS C-MAX 1.6. FORD C-MAX (DM2) 1.8. FORD FOCUS C-MAX 1.6 Ti. Ford Galaxi. Pompa frizione principale, o cilindro frizione. Ford Mondeo IV. Ford S-Max. NUEVO OE Del cilindro maestro del embrague para Vado PUMA 1.4 1.7 1997-1998. FORD - PUMA (EC_) - 1.4 16V. FORD - PUMA (EC_) - 1.7 16V. FORD EE.UU. FORD 1 038 217. FORD USA 96FB7A543AE. FORD 1045108. FORD 1 017 582. FORD 1528691, 6C117A543AD. Function Master Cylinder, clutch. Cross references. TRIPLE FIVE L-05025-0048-10, L-05H25-0048-10. FORD FIESTA FUSION 2001-2012 1.25 1.3 1.4 1.6 2.0. NUEVO OE Del cilindro maestro del embrague para. Fitted to all Ford Fiesta MK7 models produced between 2008 and 2012 which are fitted with a Petrol Engine. Suitable for models produced between 2008 and 2012 which are fitted with a 16v Duratec petrol engine. (Ref #132). 2012 Ford Fiesta MK7 1.25 16v (SNJB) Zetec 3-Door Manual (8A6R-7002-JF) Petrol. (Ref #134). 2012 Ford Fiesta MK7 1.4 16v (SPJC) Zetec 5-Door Manual (8A6R-7002-JF) Petrol. (Ref #137). 2012 Ford Fiesta MK7 1.25 16v (SNJB) Zetec 5-Door Manual (8A6R-7002-JF) Petrol.